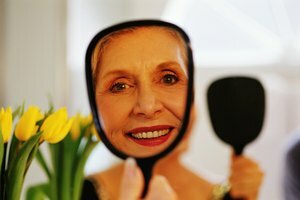 Many women in their 50s and older seek beauty advice on looking younger without going under the knife. Take a proactive approach to beauty and incorporate skin care and makeup tips and tricks in your daily beauty routine to look 10 years younger. As we age, our skin tends to lose moisture and can feel and look dry. Lack of hydration causes fine lines and wrinkles to appear more pronounced. Using a good moisturizer in the morning and at night is vital to hydrating the skin and reducing the appearance of dry lines. When choosing your products, opt for a creme versus a lotion formulation for your evening moisturizer, as it is richer and more hydrating. Choose a moisturizer that is anti-aging as well as hydrating. The anti-aging products tend to have active ingredients to combat the signs of aging, whether they are dry skin, dull skin, age spots or sagging skin. Use a hydrating mask once or twice a week. For an important event or function, sleep with the hydrating mask on your face the night before. It will plump up your skin with moisture and reduce the appearance of fine lines and wrinkles. 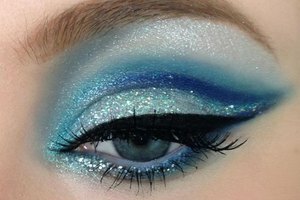 You will find that your makeup application will be easier and your makeup will look smoother. Don't forget the importance of hydrating internally. Drinking 64 ounces of water a day is not only good for your health, it improves the appearance of your skin. Dull skin can look old and tired. Brighter skin looks radiant, healthy and youthful. Brighten up your skin by using a gentle exfoliating scrub two or three times a week. The benefits are instant. Your moisturizer will absorb better into your skin, your makeup will go on smoother and look softer, and your complexion will look brighter and healthier. You will also notice that your fine lines and wrinkles are less apparent and look softer. Scrubs are just one way to exfoliate. You can also incorporate a moisturizer or active exfoliant in products that contain glycolic acid, fruit or alpha hydroxy acids, or retinol. If you opt for the natural or chemical exfoliants, use them at night for the most benefits and least damage to the skin. When using a product with retinol, glycol or alpha hydroxy acids in it, wear a sunscreen to protect your skin. Create an optical illusion with your makeup. 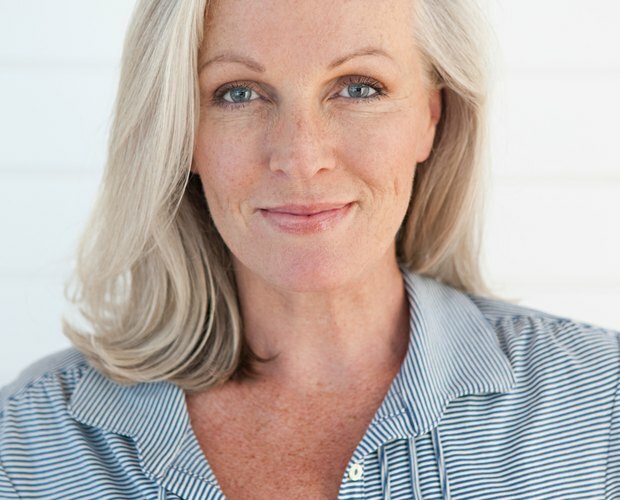 When you are in your 50s or older, matte and frosty textures instantly age you, making lines and wrinkles more apparent and making skin look dull. Instead, select a makeup that has light-reflecting properties. Use a light-reflecting lotion or primer under your makeup to bounce light off the skin and soften your complexion. You can also add light reflection to your look by wearing a lip-gloss versus a lipstick, using a creme blush with a soft pearl texture rather than a dry powder blush, and opting for a creme shadow on the lids versus a matte eyeshadow. Pick colors that are light and bright, not deep and dark. Too dark a color can instantly age you and make you look older than you are. Going lighter and brighter is the key to looking younger and taking years off your look. One of the quickest ways to look 10 years younger is to visit the hair salon for highlights placed just around your face. By lightening up the hair around your face, you create a lighter and brighter feel that instantly gives you a more youthful look. Your highlights should be subtle and blend well with your own hair color but have enough contrast to instantly brighten you up.